The world’s most popular engineering calculation software, Mathcad, is now available in a free version. For a 30 day trial period, new Mathcad Express gives you all the capabilities of the full Mathcad Prime 2.0 version. After that it reverts to limited functionality in perpetuity. Mathcad Express gives users the ability to spend more time solving engineering problems and less time programming, documenting, reporting and verifying their solutions. 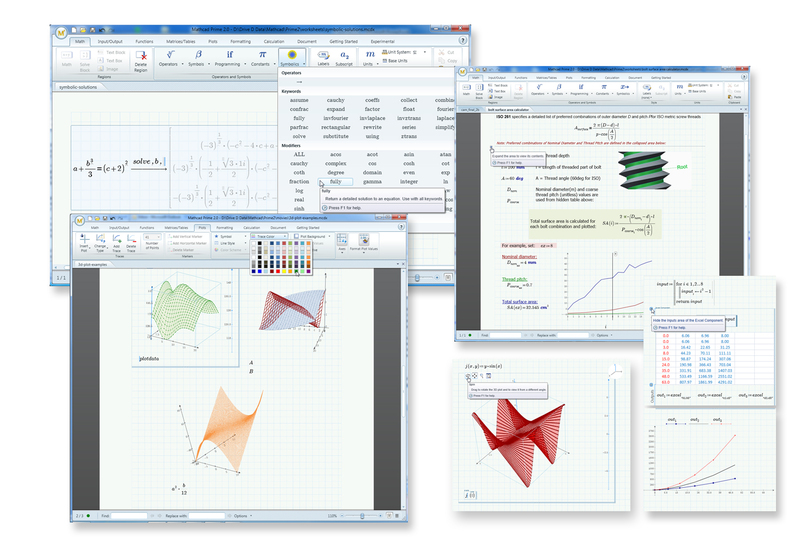 Although it lacks the more powerful features of Mathcad Prime 2.0, such as advanced numeric functions, solving capability, Excel integration, 3D plotting, programming and symbolic, Mathcad Express is still a powerful analysis tool – and it is easy to learn and easy to use. Mathcad Express includes the following capabilities. 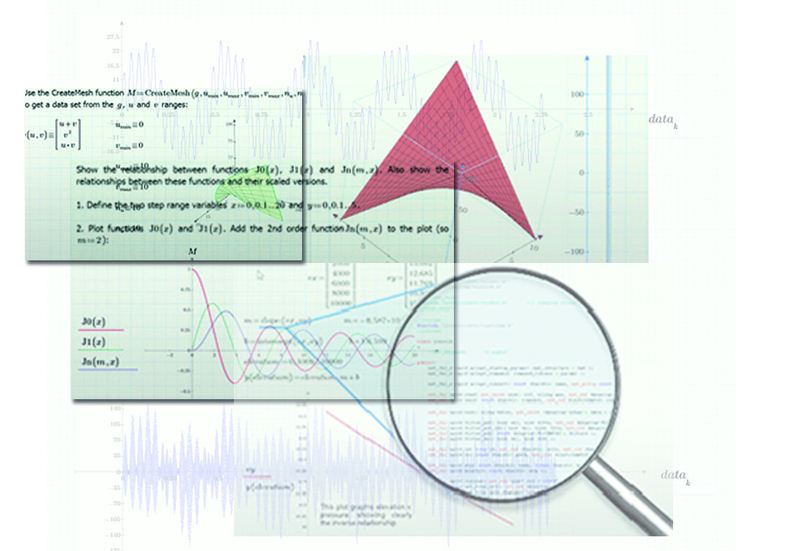 Create, edit, review and mark up Mathcad Prime documents – and convert and use files from older versions of Mathcad too. Enter your equations in familiar maths notation, as you would write them on paper or a blackboard, and watch the results calculate automatically – and re-calculate whenever you change a variable. Place equations, formulae, plots, text and images wherever you want on the page, automatically documenting your work as you go. Perform a broad range of mathematical functions and operations, produce top-quality x-y plots, handle vector and matrix operators. Never worry about unit-related errors – Mathcad Express seamlessly tracks units for you, maintains their integrity and accuracy and automatically identifies any inconsistencies. Users can expect to see in-product messages with information on selected features, training, tips and tricks and easy ways to purchase the full commercial product, along with specific “Mathcad Express” headers and watermarks on worksheets. A user who decides to upgrade to the full product will receive the full breadth of Mathcad capabilities and eliminate in-product advertising and watermarks. To find out more about Mathcad Express click here. I first plotted the Mandelbrot set on a Spectrum 48k, sometime in my early teens. Writing the code probably took a few hours (hey…I never said I was fast at these things). I left my Spectrum running overnight, chugging away and number crunching. I woke up in the morning to find a highly-pixelated image of the fractal, plotted in wonderful black and white. I beckoned my sister to witness the mathematical glory I had produced, but she was too busy watching Going Live. Since those halcyon days, one of the first things I do when I learn a new programming language or maths tool is to plot a fractal (it’s my warped version of “Hello World”). For example, here’s an earlier Maple worksheet and blog I wrote about the Mandebrot set. In my time, I’ve plotted Mandelbrot Sets, Julia Sets, Quanternion fractals, Koch triangles and more. However, I always drift back to the Mandelbrot set. The deeper you dive into its complex canyons, the more beauty you discover. The first program generates a matrix giving the number of iterations before each point in the set tends to infinity (i.e is greater than a bailout value). The second program colours each point with custom RGB values; this is then plotted in a 2D plot. A Mathcad routine to generate the Julia set follows the same process (again, the download link is at the bottom of this post). Here’s a few colourful renderings of the Mandelbrot Set and the Julia Set I’ve generated using these Mathcad worksheets. The colouring algorithm is where much of the artistry comes into play. Just by tweaking a few numbers, you can produce remarkably different pictures. These pictures were generated entirely inside Mathcad, with no other image editing. So what are the downsides of using Mathcad for generating fractals? Mathcad’s an interpreted environment, so compiled C code will always be many orders of magnitude faster. However, a Mathcad worksheet is good for developing the initial algorithms – it’s a much more interactive, easy-to-use environment than a text editor and a compiler. 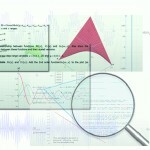 Mathcad gives you much faster feedback on your algorithms than a traditional programming language. For the second year running Adept Scientific (Letchworth, Herts) has been awarded the PTC Channel Advantage Award acknowledging its status as the top Mathcad reseller Worldwide. The 2011 award ceremony was held in Athens and attended by around 500 professionals representing resellers across the globe. Jessica Nielsen, Sales Consultant – Mathcad for Adept Nordic, received the medal on behalf of Adept. Adept Scientific is one of Mathcad’s longest-standing resellers, supplying and supporting this engineering calculation standard since 1985. This award provides the perfect mark of quality for engineers sourcing a proven Mathcad reseller.